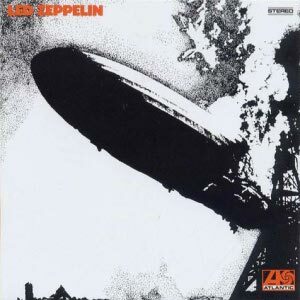 Shortly after their first tour, the group's eponymous first album was released on 12th January 1969. 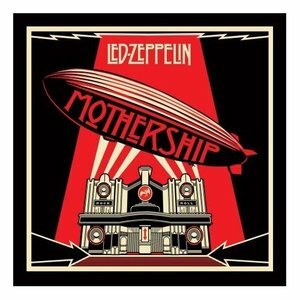 Its blend of blues and rock influences with distorted amplification made it one of the pivotal records in the evolution of heavy metal music. 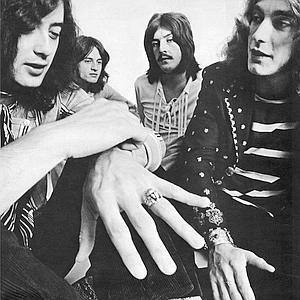 Although several of Led Zeppelin's earliest songs were based on or were cover versions of blues standards, others such as Communication Breakdown had a unique and distinctively heavy sound. 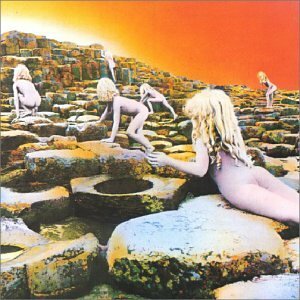 Led Zeppelin also featured delicate acoustic guitar on Black Mountain Side in which the influence of Davy Graham can be heard, and a combination of acoustic and electric approaches on the reworked folk song Babe I'm Gonna Leave You. The immediate success of the first album kick-started the band's career, especially in the United States, where they would frequently tour. This mobile site is prepared for experimental purposes. Band and album info is from Last.fm Wiki. 30-seconds track previews from EchoNest API. 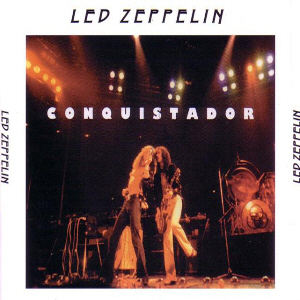 Shortly after their first tour, the group’s eponymous first album was released on 12th January 1969. Its blend of blues and rock influences with distorted amplification made it one of the pivotal records in the evolution of heavy metal music. 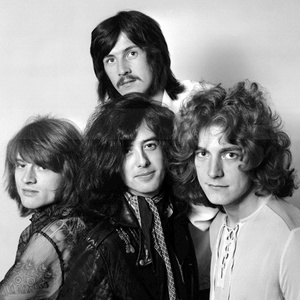 Although several of Led Zeppelin’s earliest songs were based on or were cover versions of blues standards, others such as Communication Breakdown had a unique and distinctively heavy sound. 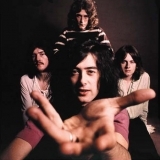 Led Zeppelin also featured delicate acoustic guitar on Black Mountain Side in which the influence of Davy Graham can be heard, and a combination of acoustic and electric approaches on the reworked folk song Babe I’m Gonna Leave You. The immediate success of the first album kick-started the band’s career, especially in the United States, where they would frequently tour. For the writing of the music on their third album, Led Zeppelin III, the band retired to Bron-yr-Aur, a remote cottage in Wales. This resulted in a more acoustic sound (and a song “Bron-yr-Aur Stomp”, misspellt as “Bron-y-Aur Stomp” on the album cover) strongly influenced by Celtic and folk music. Led Zeppelin III also ushered in an era of unique album jackets, this one featuring a wheel that displayed various images through cutouts in the main jacket sleeve when rotated. 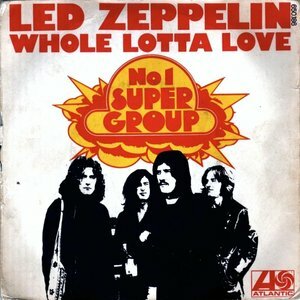 In November 1970 Led Zeppelin’s record label, Atlantic Records, released “Immigrant Song” as a single against the band’s wishes (Atlantic had earlier released an edited version of “Whole Lotta Love” which cut the 5:34 song to 3:10). It included their only B-side, “Hey Hey What Can I Do”. Even though the band saw their albums as indivisible, whole listening experiences - and their manager, Peter Grant, maintained an aggressive pro-album stance - nine other singles were released without their consent. The group also resisted television appearances, which would have reduced their ability to control their presentation and sound quality. 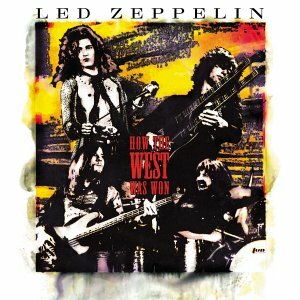 Lack of Zeppelin television exposure also enforced the band’s preference that their fans hear and see them in person. 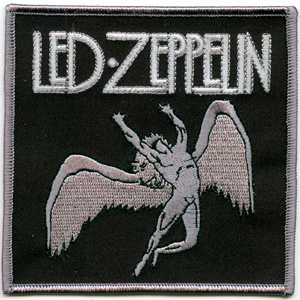 Their fourth album, Led Zeppelin IV was actually untitled, but is commonly referred to as Zoso, Runes, The Fourth Album, Sticks, Man with Sticks, or Four Symbols; it featured “Stairway to Heaven”, which Jimmy Page performed on stage on a custom-built double-necked electric Gibson guitar, the top neck a twelve-stringed version. 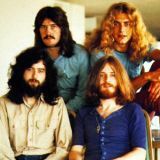 Over twenty-five years after disbanding in response to drummer John Bonham’s tragic death in 1980, Led Zeppelin continue to be held in high regard for their artistic achievements, commercial success and influence. 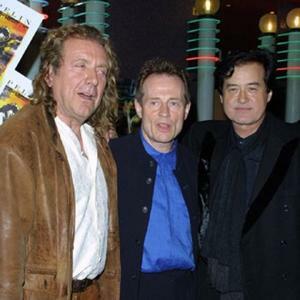 Since they disbanded, Page, Plant, and Jones have only played together on rare occasions. Page and Plant did get back together to record No Quarter: Jimmy Page and Robert Plant Unledded as part of the MTV Unplugged series in 1994, which was accompanied by a worldwide tour, and again in 1998 for the studio album Walking Into Clarksdale. 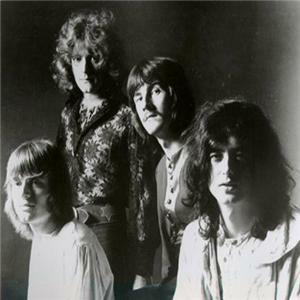 John Paul Jones also has performed since the break up - at the Bonnaroo music festival in Manchester, Tennessee. He was part of a “SuperJam” featuring himself on bass, Ben Harper on guitar, and Ahmir “Guestlove” Thompson on drums. He also played as a guest during the sets of various other artists throughout the weekend.